During the past few months, I have had a ridiculous need to be creative. It’s almost like I must be creative for a certain number of minutes per day or I get jittery. It’s like going all morning without caffeine or fighting a craving for chocolate. I have to sit down and make something. My husband thinks it’s because all of the gluten has been cleared from my system, allowing my creative brain to work again. I have speculated it might be because I have more time on my hands because I stopped watching TV shows. Most likely, it has something to do with a shift in my responsibilities at work. I’ve been able to try some new things this year that involve working more with people, but less time being creative on the job. I love new challenges, and it’s kind of nice that I’m not expending all of my creative energy at work. Instead, I’ve been craving to do something creative at the end of the day. Whatever the case, it’s rare that a day goes by without me spending at least a few minutes working on a craft. Most of my favorite projects involve using my Silhouette Portrait. I’ve had so many people ask me, “What the heck is a Silhouette?” So, here’s a little explanation. The Silhouette is a die cut machine that connects to your computer like a printer. Whatever you can design on your computer screen, you can cut perfectly with the Silhouette. It can cut a range of material, from paper to vinyl to iron-on transfers to chipboard. I typically cut out my projects on adhesive vinyl, punch out the letters and then and use the vinyl as a template to paint words. I just love that I can paint in any font, as long as I can cut it on my Silhouette first. It makes me feel like a real artist to be able to paint with such neat hand lettering. It takes some skill to measure the object you want to paint and plan out how you want to place the letters. My Silhouette is the smaller model so I can only use paper that is 8.5 inches wide. This often means I have to cut several strips of vinyl to paint something. For example, our family date canvas in the photo above is 24 inches by 30 inches. It took me several hours to cut each strip of words, line them up neatly on the canvas and then paint them. Once I’m done, I usually have several spots where the paint seeps under the canvas. I can usually just touch up my mistakes with whatever color I used for the background. 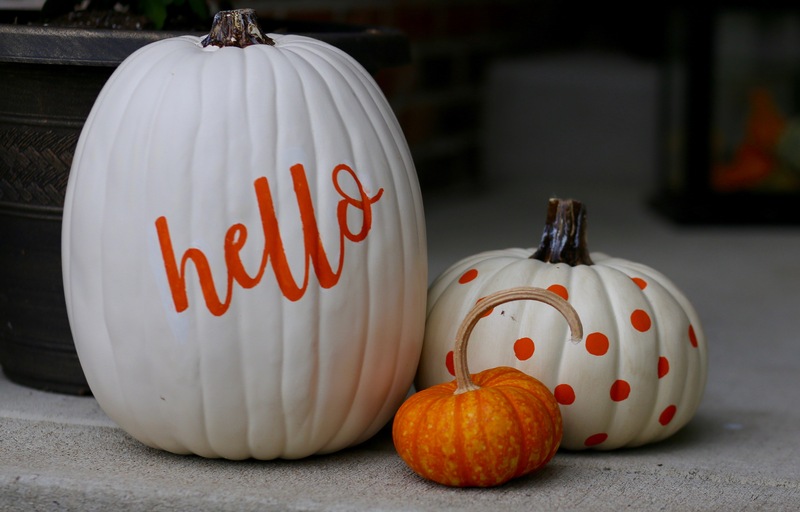 While summer is still my favorite season with its long days and warm evenings, I absolutely love decorating for fall. 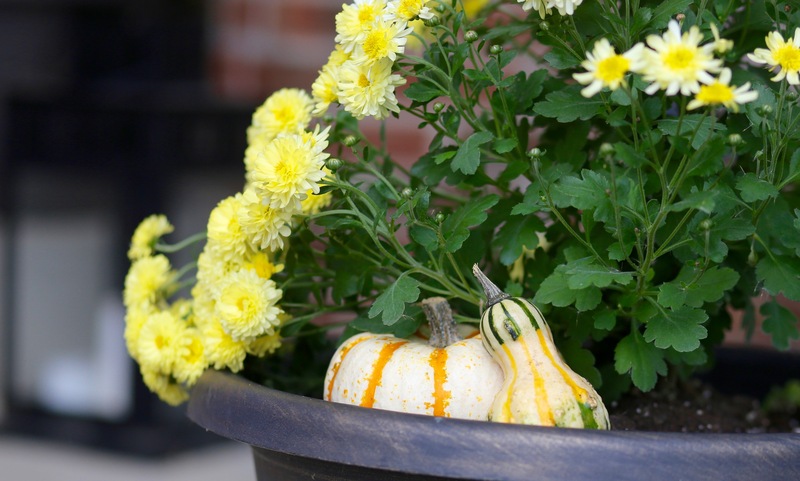 I love planting mums and buying little mini pumpkins. 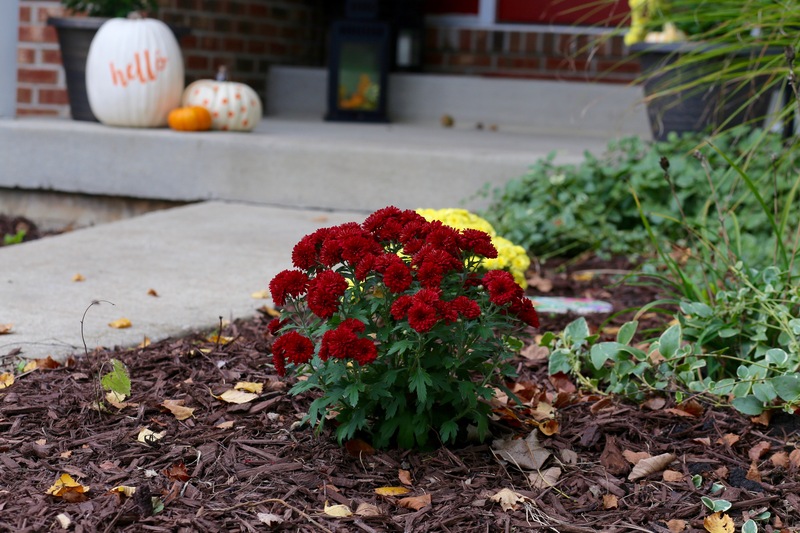 My fall projects have been a fun addition for the season. 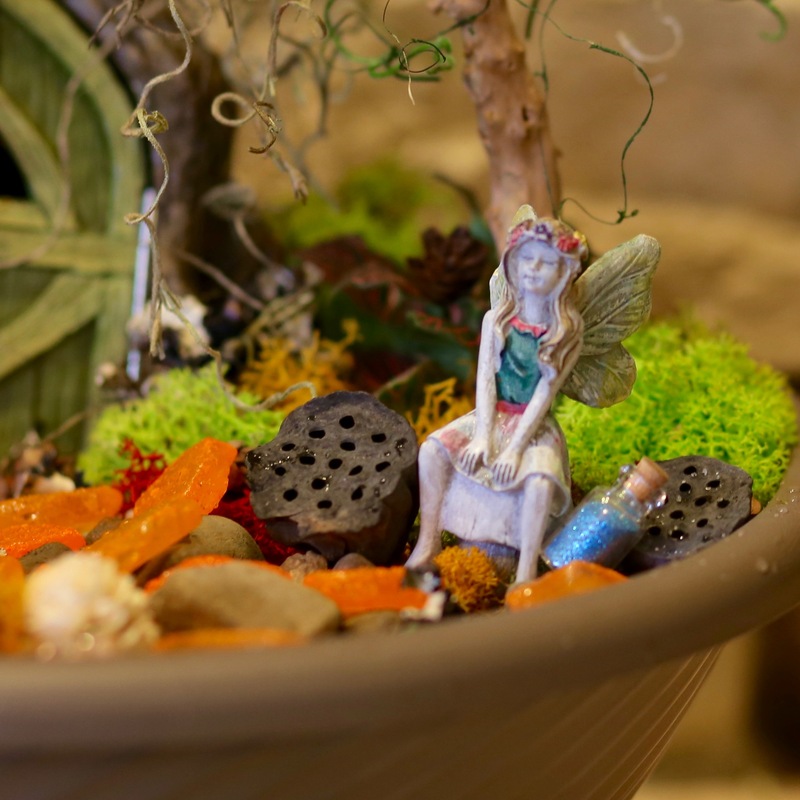 This weekend, the girls and I even attended a Fall Fairy Garden workshop at our local garden store. 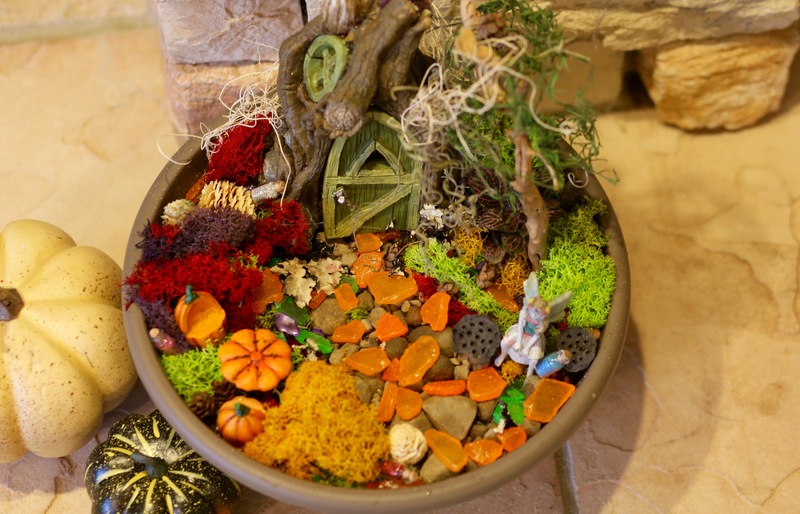 We had a blast picking out mini pinecones and brightly colored moss to fill our fairy garden. I’m not gonna lie. 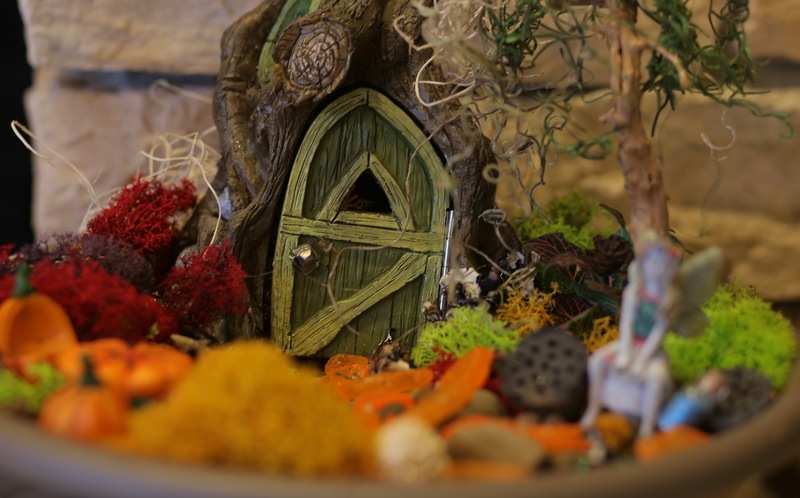 Fairy gardens are a new obsession. We are already looking forward to going back to make one for Christmas! So what about you? Do you enjoy creative projects? 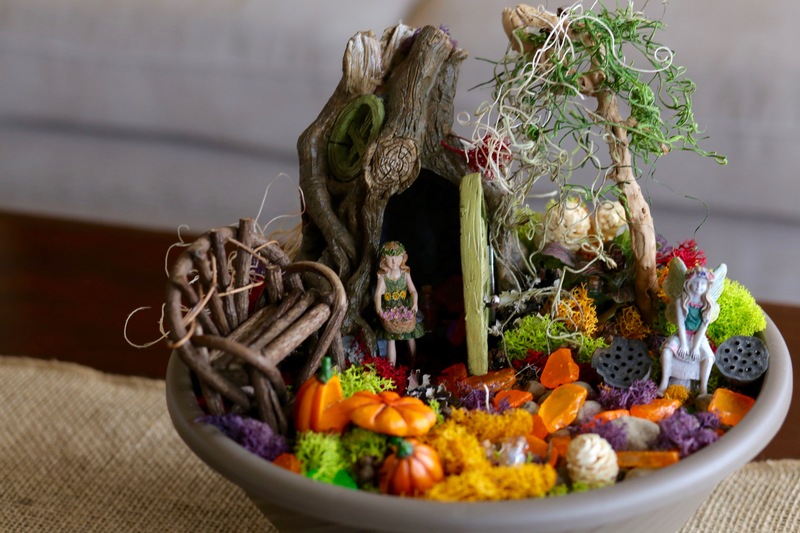 Do you like decorating for different seasons? What have you been creating lately? I had no idea Kent was really a middle name! He just doesn’t look like a Larry to me. The family canvas is beautiful and no one can forget a birthday. 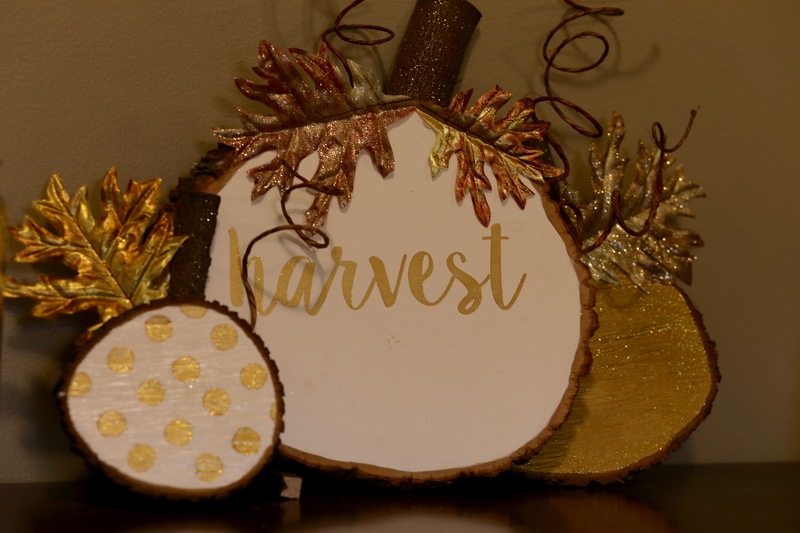 Thanks for sharing your tips on how you got the wording on the pumpkins and wood slices. I thought you were hand-lettering it, and I had major envy going on! Cathy, I really love the family date canvas, even though it pretty much tells everyone how old we are! You are right… Kent could never be a Larry! I need to get back into using my Silhouette more often! 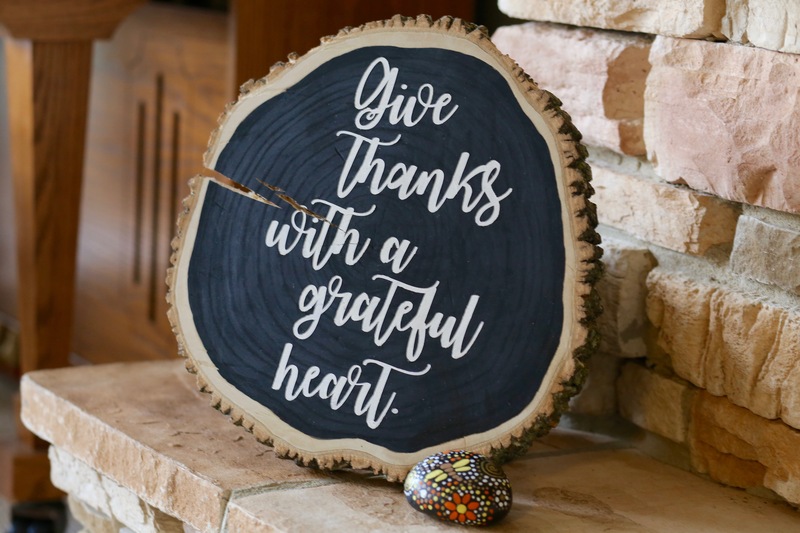 What fonts did you use in “harvest” “give thanks” & “hello”? Hi Sues, I definitely go in spurts with my Silhouette. I either use it constantly or not at all! I used the same font on “Hello” and “Give thanks.” Those are both Watermelon Script. On “Harvest,” I used Sweet Pea. I’m a font junkie!